The release of Dolibarr 3.3.0 is available. You can find it into the download area of dolibarr.org portal (subdirectory Stable versions). This is a major release with a lot of new features for both users and developers. This new version (and next one) is also now released under license GPL v3+ (previous version was GPL v2+). The Dolibarr team will be present on the Dolibarr ERP & CRM stand during the Solutions Linux 2013 congress, in Paris, the 28 and 29 may. The congress (10 000 visitors) is free for every visitor and occurs at the CNIT - Paris La Défense - Hall Marie Curie. The first beta version of future Dolibarr 3.3.0 is now available. You can find it into the download area of dolibarr.org portal (subdirectory Beta and prereleases). It's Christmas! Please try it and report all found bugs on dolibarr.org forum or onto Doliforge bug tracker https://doliforge.org/tracker/?atid=246&group_id=144&func=browse. On 15 November at the Alvarado Innovation Centre (C / Bravo Murillo, 133 - 28020 Madrid), we will have the second event of OpenExpo, and the ERP software will be the center of attention. The capacity of the event will be 30 participants and for more than two hours, experts from the open-source ERP technologies will analyze the advantages and disadvantages of each of the presented solutions. 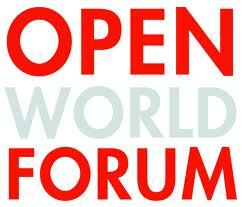 Dolibarr has been selected to run the final of the Innovation Award at Open World Forum 2012 (among 6 other qualified projects). Open World Forum is a leading global forum bringing together decisions-makers, developers and users from all over the world to cross-fertilize Open technological, business and societal initiatives to shape the digital future. Good luck to Dolibarr for the final.